A mild chemical peel, such as the Jessner peel, can do wonders for toning up those fine lines and wrinkles that have started appearing around the eyes, forehead and mouth areas. Although, this is considered a mild peel, you will feel some brief stinging as it is applied to the skin. Often, your skincare professional will deal with this by holding a fan to your face, which helps a lot. Depending on the type of Jessner peel you are getting, it may take between one to several hours to have the procedure done by a professional. Your face will be prepared with a wash that may contain glycolic acid solution, and then the peel mixture will be layered onto your face. As with other peels of this type, you’ll have to live with some redness or browning, tight skin, wrinkling and flaking for several days. However, when all of that old skin has fallen off, you’ll be delighted at what you see in the mirror after you’ve healed. There is nothing like running your hand across a face that is smooth as silk and soft to the touch. This is the main benefit that can be experienced by having a Jessner peel. One good thing about the human skin, is that it is a living organism that is capable of regeneration. Without you even noticing, your skin cells are always dying off and being replaced by new ones. Skin contains natural collagen, which keeps it plump and taught. Over time, the aging process causes skin cells to regenerate at a much slower rate. This can make your skin more susceptible to premature aging. A quality Jessner peel can speed up this regeneration process and bring back youthful looking skin. The Jessner peel was created by an American dermatologist named Dr. Max Jessner. His unique formulation contains salicylic acid, lactic acid and resorcinol. Combining these three ingredients together creates a mild, light peel that can be tolerated by most people. Jessner peels are commonly performed by a dermatologist or skincare professional. They are often recommended to patients who have mild to severe acne prone skin. Acne skin conditions are difficult to treat, and require removing the top layer of skin in order to clear up the inflammation. When a Jessner peel is applied, it can gently burn away these oil-filled skin cells, and over a period of a week or so, reveal fresh, newer skin underneath that has no blemishes or visible signs of acne. Acne sufferers aren’t the only ones who are in need of a quick skin regeneration treatment. 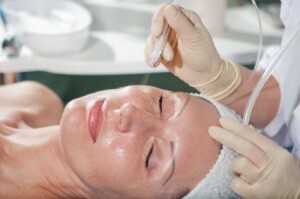 People who want to stop the signs of visible aging are also good candidates for the Jessner peel. As you go about your normal day, your skin is constantly being attacked by natural elements like the sun’s rays or biting cold winds during the winter. Over time, this causes the skin to lose critical moisture and collagen. As with all beauty treatments, one of the best ways to see the effects of a Jessner’s Peel is to look at famous celebrities who have undergone or use this peeling procedure with regularity. However, on account of the mild nature of the Jessner’s Peel, and the general trend for most celebrities to keep some of their beauty secrets to themselves, it is difficult to know who uses Jessner’s Peels and when they have used them. There are really not many celebrities who have come clean about using Jessner’s Peels so there is more speculation than actual fact. Rupert Murdoch Surprisingly, the media mogul Rupert Murdoch is one of the better known celebrities believed to have used the Jessner’s peel, although he has not yet gone public about it. Earlier this year he suddenly appeared to have a smoother, lighter complexion with none of the tell-tale signs associated with plastic surgery. If you look carefully at photographs of him he clearly looks considerably younger and less wrinkled. Experts are fairly sure that a Jessner’s Peel is responsible, although there are some who believe a combination of certain laser treatments and possibly other mild peels may have been used. Nadine Jolie Nadine Jolie, the beauty editor, blogger and columnist swears by Jessner’s peels and although she has also tried other peel types she says that the Jessner’s Peel was the most comfortable and most effective. As a self-confessed beauty addict, Nadine Jolie is not someone who appears to need a skin peel as she has excellent skin, but it would appear that at least a part of this is due to regular skin peeling including Jessner’s peels. Home Jessner’s Peel solutions are now becoming much more readily available and safer to use. While there are some benefits to carrying out this procedure at home it is still advisable to seek medical advice before proceeding with a home peel, as there are a number of problems and complications that can be encountered. Certain medical conditions preclude the use of a chemical peel and without proper dermatological advice you may not be doing yourself any great favors by peeling at home. Different Strengths Until recently, regulations prevented home treatments from being the same strength as those used professionally, but now there are numerous full strength Jessner’s solutions and kits on the market. The use of the milder Jessner’s Peels that used to be available can be beneficial as a first-time peeler. As you gain experience with the procedure you will also find other problems you may have with chemicals as well as discover for yourself the flaking and peeling process actually works. There will be limited risk as long as ou follow the instructions carefully; however the results will not be as effective as a professional peel. Cost One of the most obvious benefits of a home peel is the cost. A home peel kit will cost somewhere in between $100-$200, whereas a professional peel will be between $500 and $2000. These figures can vary of course, depending on the jessner peel manufacturer and the severity of the problem with your skin. Don’t forget that if you encounter any complications with a home peel you will naturally have to pay for any medical help you have to seek, whereas a professional peel will have any aftercare included. If you purchase just the peel solution itself, there is also considerable cost involved in the preparatory treatments and aftercare products, so make sure you know the cost of the whole package before comparing prices. Some home peels will be available at around $30 but these should be avoided. They are most likely diluted considerably with alcohol and the end result of using them is likely to be more dryness than peeling. Secrecy and Intrigue Although it is possible to carry out a home peel yourself, it is perhaps best to get a trusted friend to do it, as it is much easier to apply the solution correctly to another person than yourself. The need to take care, especially around the eyes and to apply the solution evenly in layers can make this a slightly tricky procedure to carry out in the mirror. In addition to this, the application of cooling air to relieve discomfort while undergoing the peel can be more easily achieved by a second pair of hands. There is however an advantage to home peels applications in that you do not have to go outside immediately after the peel on your way home. Due to the need for sun protection for several days after carrying out the peel procedure, coming home from a dermatologists office can necessitate covering up, which might give your secret away if you want your peel to remain private. Many people like to carry out this procedure at home just for this reason, so they can reveal themselves after the peel effects have cleared up and healed. So the ‘surprising’ new look will be attributed to nothing more than careful cleansing and healthy eating. There are steps to take into consideration before, during and after an application of Jessner Peel. Each step is critical to successful completion of Jessner Peel; therefore, it is extremely important that these steps be taken seriously for the full impact of Jessner Peel to be experienced. Before a Jessner Peel Application Before an application of Jessner Peel it’s not unusual for the dermatologist to give you a pre-Jessner Peel regimen to follow. This includes anything from using AHA’s or Retin- A to prepare your skin for the experience of a lifetime. The main purpose of this is to even your skin tone and condition it for an effective peel as well as reduce the chances of experiencing hyper-pigmentation occurrences. During the Jessner Peel Process Based upon the specific type of Jessner Peel you will be receiving or the depth of the peel and skin type, there is a strong possibility you could be anesthetized during the Jessner Peel. If anesthesia is needed most dermatologists will recommend that you read some information pertaining to the effects of anesthesia. If anesthesia is not needed, the procedure will commence after the preparatory steps have been taken and completed. Afterwards there is the possibility of a layer of acid being applied as well as the initiation of a timer to time the treatment. During the procedure it is not unusual to experience a warm, burning or tingling feeling or based upon the strength of your particular peel, you may even experience a stinging sensation. Most dermatologist will prepare you for this occurrence by having a fan somewhere nearby to blow air on your during this period of the procedure. The good news is that you will know about this experience prior to having Jessner Peel administered. Once the time has elapsed, the acid will be taken from your face with the use of neutralizing lotion and a moisturizer solution could also be applied as well. Then there is the possibility of dressing being wrapped around the treated area. This will be based upon rather you will be receiving a superficial peel or deep peel. After the Jessner Peel Application This is considered to be the recovery stage of the Jessner Peel solution and during this period the first thing you will notice that your skin feels as if it has experienced windburn or sunburn, and will have a degree of tightness to it. During this period, it is not recommended to make sudden facial gesture as if you are trying to make a big smile or laugh because of the risk of tearing the skin and possibly causing bleeding or even scarring. The important thing is to allow your skin to heal naturally. Nor should you peel, tug, crust or pick on your face because this can also cause unwarranted damage and even scarring. 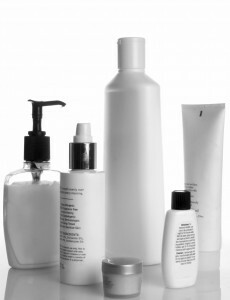 However, you may be instructed to continue cleansing your face as always, but use a gentler formulated cleanser to do it. You will also be instructed to avoid sun exposure and to use a high Sun Protection Factor sunscreen if you do have to go outside. The road to recovery is riddled with very important steps to take to ensure a speedy and safe recovery, and it’s extremely important that you follow the directions of your physician or dermatologist. You will experience even more things than listed above, including a certain degree of pinkness but there will be no reason to fret because this customary and will only a last a week or so. The Jessner Peel Solution owes its effectiveness to the use of three very important ingredients -resorcinol, salicylic acid and lactic acid. Resorcinol and salicylic acid include anti-bacterial and anti-inflammatory agent as well as penetrating oil while the lactic acid is used for treating any occurrences of discoloration as well as collagen stimulation and the production of elastic material. So what makes the combination of these ingredients so effective and beneficial for so many clients of Jessner Peel? Resorcinol or Resorcin What exactly is Resorcinol? It is a dihydroxy phenol used primarily in the treatment of acne, eczema, psoriasis and a number of other adverse skin conditions. It is most effective when combined with other acne treating medications, including salicylic acid and lactic acid. What exactly does it do? It is known for breaking down hard, coarse skin, which basically means it’s capable of breaking down such things as whiteheads and blackheads. It is the resorcinol ingredient in Jessner Peel that creates the greatest potential for skin peeling and is potentially irritating; therefore, one should avoid using other irritating ingredients like soaps, cleansers, alcohol products and some other forms of medications. Order Jessner's Solution online.